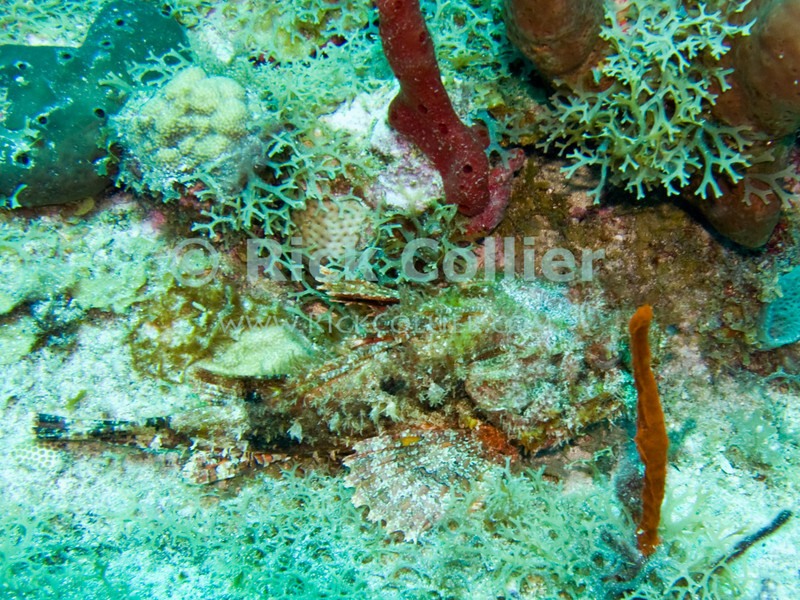 The stonefish lies on the bottom and looks like a rock. It has poisonous spines that can be quite dangerous if you don't notice it is there and touch, grab, step, or bump into it. St. Eustatius (Statia), Netherlands Antilles. "St. Eustatius" "Saint Eustatius" Statia Netherlands Antilles "Lesser Antilles" Caribbean underwater diving ocean SCUBA dive reef fish sand bottom sandy sea floor sea bed stonefish "stone fish"